Since the Internet introduced online advertising, most marketers have turned their attention to web marketing campaigns. These days, everyone seems to be obsessed with social media marketing, and it may leave you wondering if live events—such as trade shows or your own presentations—are still relevant. Although companies today have more marketing options, they should not ignore events and the potential they offer. Below, we explain why events help you stand out in the modern highly competitive environment. We'll also cover how to do them right, from trade show sales tips to ideas for events you put on yourself. Why use trade shows as a marketing tool? Trade shows focus on specific people in the market. People who attend the show have a special interest in the goods or services being displayed and therefore are potential customers. With this kind of attendance, your marketing efforts will be easier since everyone in attendance has the potential of converting into a customer. Direct interaction improves the quality of communication and enhances the customer’s ability to understand your products or services, and your ability to understand their needs and interests. Marketers can make more quality leads at trade shows than they can from their desks by cold-calling or emailing. Some customers fail to respond to unsolicited calls or emails because they deem them intrusive. In many cases, at a trade show, the attendees initiate a conversation by making inquiries about the goods or services on display. Marketing campaigns are not cheap, and trade shows are not an exception. However, with proper arrangement and planning, you can reap the benefits of your campaign at a relatively lower cost. The initial investment for a trade show is high, but the cost is justified by the high customer conversion potential. Other marketing methods do not deliver the same results. Trade shows provide the marketers with an opportunity to understand the perceptions of the prospects. Some of the potential clients also offer their comments about the displayed items, which help the marketers to improve their display or marketing strategies. Other marketing campaigns do not offer the feedback that is crucial to the marketers in the design of future marketing strategies. Conferences and trade shows provide a great opportunity for you to connect with potential leads. However, you don’t want just want to attend any old one. Find those that have the best opportunities for meeting potential customers. This is especially important if you’re on a tight budget. Instead of attending as many as possible, narrow down your choices to the conferences and trade shows where you have the best opportunity to connect with potential clients. Check out the event’s website and social channels to find out who’s attending. 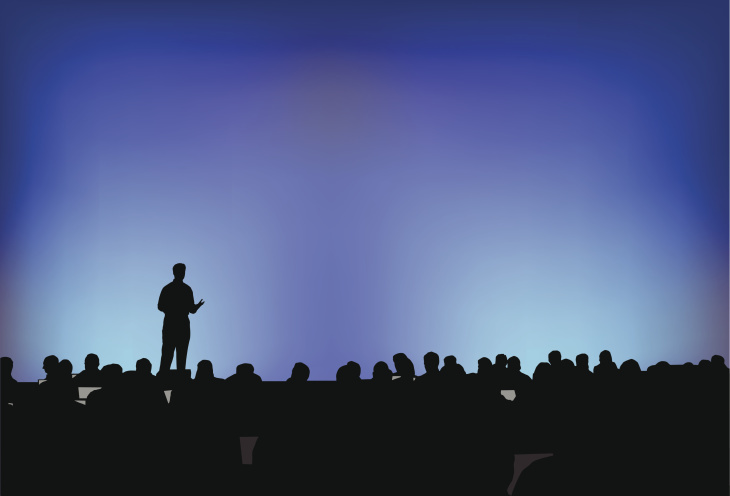 Most trade show organizers keep an email list of attendees. Try to get your hands on it six weeks before the event. Start following them on social media, sign up for their newsletters, and send them a quick email introducing yourself, as well as sharing your exact location and booth number at the show. 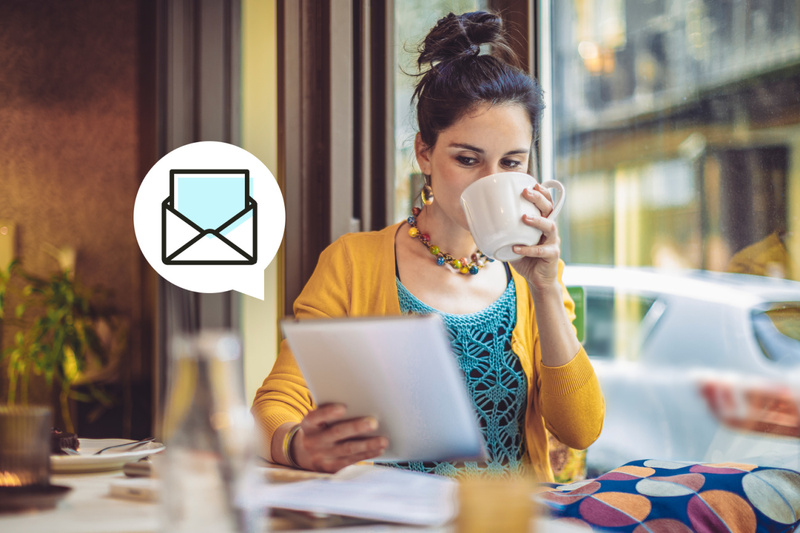 Set up meetings with key sales prospects in advance and send them a coupon in your introduction email. Nowadays using social media to promote your attendance at an event is par for the course. Tell all your followers what you hope to learn and the connections you want to make at the trade show. Include hashtags for the event so that people outside your followers can read what you have to say. Find leads from past trade show events and email them with a reminder about who you are and why you hope to connect with them again. Have something new to offer and unique to say. Small business owners often want to learn more about a particular area of their industry at trade shows. Find out what other attendees are most interested in learning about and when they visit your booth, have something insightful to say about those topics. For example, say you are restaurant owner hoping to make supplier contacts at a food service trade show. You notice your social media contacts are talking about the trend in organic, local and gluten-free products. When a potential supplier stops by your table, you start a conversation about how you recently started serving organic burgers and free-range chicken at your restaurant. If you can capitalize off of this opportunity and show them you have the knowledge they want, you will make a lasting impression as an industry expert. This impression will serve you as people decide if they want to do businesses with you. You only have a few seconds to capture a possible lead’s attention as they walk by your booth, so nail down one to two sentences that describe your product and service. But remember, simply reciting your pitch to anyone who stops at your booth won’t get you the results you want. Use your pitch with discretion. Use body language as a way to gauge a person’s level of interest before you decide whether to recite your pitch. Politely end conversations with people who occupy too much of your time but are not qualified leads, and if it’s clear someone’s not interested in what you have to say, politely end that conversation, too. Make sure that all of your contact information is up-to-date so that the customer can learn more about your business and contact you if they have any other questions. Also, don’t forget about updating your website so that it’s responsive—they may be scoping you out on their mobile device while at the conference or when traveling home. And, create landing pages so that you can segment your contact lists and automate your emails. Keep it neat and tidy. A company logo and banner are not useful if they are falling down or hidden behind take-out containers and stacks of paper. Consider having an image of your product or service featured prominently. Brand your booth so that it stands out. This doesn’t mean you have to spend way outside your budget, but consider these trade show display ideas that can make all the difference: a nicely-constructed, well-designed background, unusual chairs, bold digital signage, tablecloths or maybe some extra lighting (since expo halls tend to be a bit on the dreary side). This may not seem like that big of a deal, but when you look like a professional, and not someone who just walked off the street, people are going to take you more seriously. Make sure that your professional attire is clean and pressed so that you can make a solid first impression. And let’s not forget, the way your employees dress speaks volumes about your company culture and level of professionalism. You’ll need to determine the image you want to project—formal, business casual, or casual. Whatever style you choose, make sure you have clear standards (for example, no light jeans). Consider having your employees wear their uniforms or dress in one or two colors associated with your brand. Don’t forget to wear comfortable shoes and have breath mints available. It’s better to have too many marketing materials and business cards than running out and being empty-handed. Everyone will have freebies like pens and bags. The trick is how to make yours stand out. Consider having giveaways that are related to your product, such as a USB stick for a software company or a rubber football for a tire manufacturer. People also go for things that are useful and a bit more unique, like pocket mirrors with an emery board (with your logo) on the back. Having an enticing gift creates the perfect opportunity to discuss the value of your product as visitors stop by to grab one. Even in the age of digital, some form of paper collateral is a good idea. A leaflet, catalog or sales sheet should describe your product to varying degrees, appealing to different types of leads. It should go without saying that your company logo, contact info, and website should be printed on everything you give away. This will automatically create new contacts in your phone so that you don’t have to spend the time manually entering phone numbers, email addresses, and social signals. Once you have this information, you can start connecting with the prospective customer. If you’re an Infusionsoft by Keap customer, you can download the Snap App to integrate directly into your CRM and marketing automation campaigns. You are only one person, and many exhibition halls are kind of a circus at peak times. While you are chatting with one lead, three other potential leads might walk right by your booth. But what if you captured lead details like email addresses and phone numbers with multiple tablets around your booth? This allows you to chat with one lead while other trade show attendees provide their contact details on your company tablets. Luckily there are apps for that, and QuickTapSurvey is one of them. It integrates with Infusionsoft by Keap. Who really enjoys getting a hard sell from someone you just met? No one. When you network properly and build genuine relationships the money will eventually follow. For example, by networking, you may land a speaking gig or discover that you and client have the same interests. In either case, you demonstrated that you’re knowledgeable in your industry and that you’re someone that the client actually wants to get to know. Then, when they could use your services, you’ll be at the top of their list. Should I host my own events? As useful as conferences are, wouldn’t it be better if you could send out an invitation and have new leads walk right through your doors? Well, it turns out you can. Hosting events for your business offers you some unique benefits that are hard to match with other tactics. The hardest part of finding leads is breaking through the clutter in order to get a prospect’s attention. The average person is exposed to as many as 5,000 brand messages per day (and that’s not including passive brand messages like logos). Events are a great way to break through those messages. When you host an event you have the attention of a captive audience. The audience can’t put you on mute like they can on the phone, and they are much less likely to surf the web while you talk if they are sitting in the same room. Nothing beats the richness of experience delivered through meeting in real life. At an event, you can control the experience you want for your attendees. You can deliver messages on-stage, walk through demos while answering questions face-to-face and perhaps most importantly, see the reactions of your audience. Events provide you the opportunity to deliver a far more memorable experience than you would be able to with other mediums. You not only have more of your audience’s attention, you also have a much better chance of having your message stick with them. It’s far more energizing and personal to meet, learn about, and speak with new leads face-to-face. Plus events give you the opportunity to add a little fun and flavor to your interactions with prospects. Provide entertainment, music, drinks, or food to make the experience less formal, less confrontational, more communal and comfortable for you and your prospects. If you can create an environment where you and your prospects are having fun, you’re already well on your way to closing the deals. The most important asset for drawing in a big crowd is your expertise. You know your product, your market, your customer and your customer’s pain points better than anyone. Use your expertise to create an event that prospects will want to attend. For example, professional services firms like accountancies and law firms bring in new leads with events like “What to Know When Forming Your Business.” A topic like this can be a great vehicle for generating leads for a law firm because the topic will naturally appeal to people who are looking to start a business, and therefore, will likely be in the market for legal services very soon. Similarly, IT consultancies and software providers can host classes on how to manage pain points around data and technology. Not only do these classes draw in lots of qualified prospects, the class format also positions the event host as an expert helping to build credibility that will eventually help close sales. When your objective is to reach new leads, it’s important to go beyond your own social and email audiences. Paid media is a great start, but don’t forget to leverage business partners, vendors, existing customers and local business groups to help promote your event. If your event will have an educational component, consider reaching out to your local Chamber of Commerce or Rotary Club to see if they’ll include information about your event to their members. Pulling off an awesome event with the right attendees can be super energizing, but don’t waste that energy by forgetting to capture your leads. When you take online registrations for your event be sure to sync your attendees with your CRM systems. Platforms like Eventbrite make it easy to capture information on your event attendees and sync them with awesome CRM platforms like Infusionsoft by Keap that make it easy to follow up with everyone when it’s over.